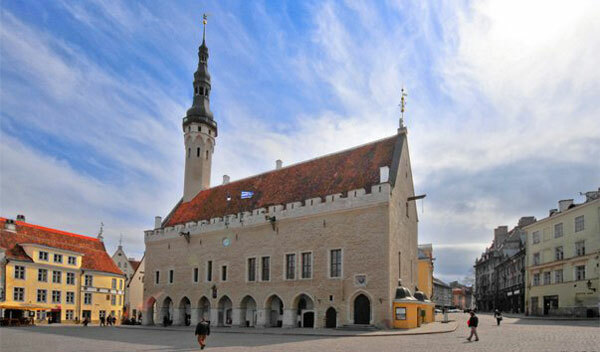 Tallinn Town Hall is a monument of special architectural style – “Tallinn’s Gothic.” The Town Hall was completed in the present form over 600 years ago. 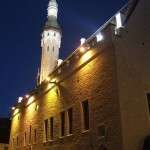 It has been the center of supreme power in Lower Town from 13th to the 20th century. 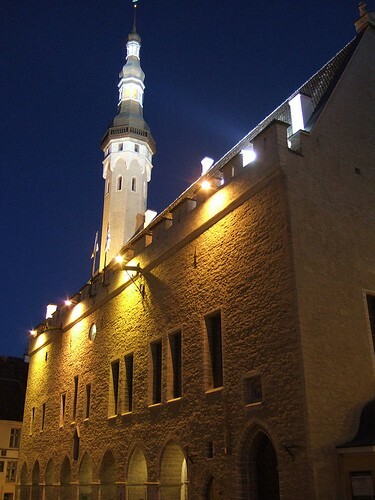 Nowadays Town Hall, where burgermeisters used to sit, is opened for visitors. 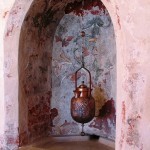 Inside you will see interiors in the style of “flaming gothic”, quite rare in Tallinn. 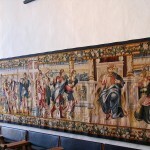 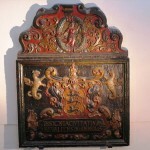 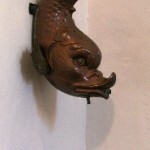 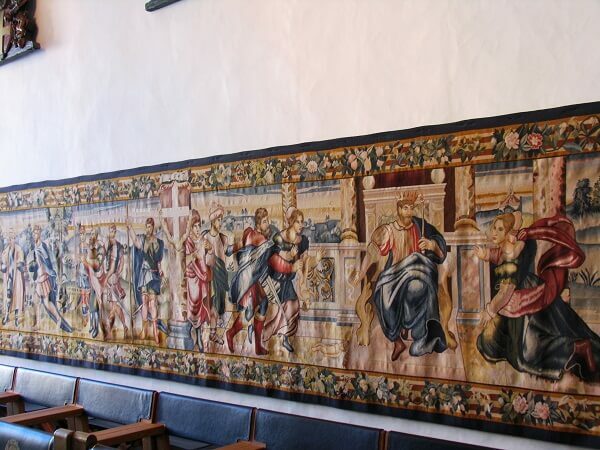 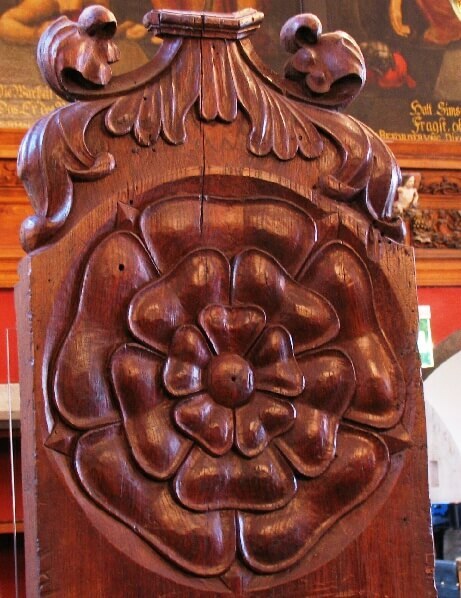 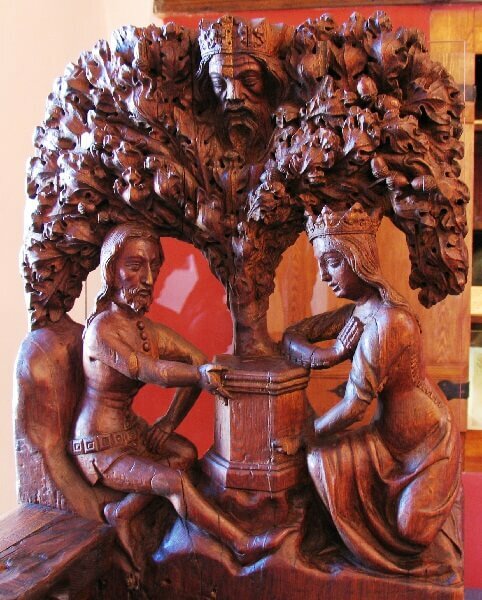 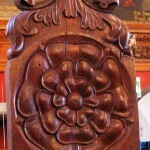 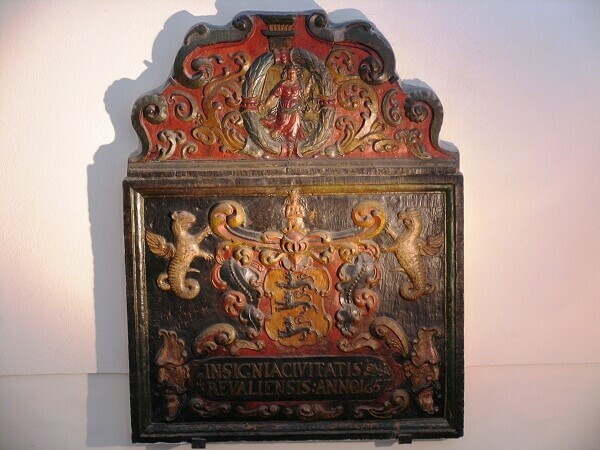 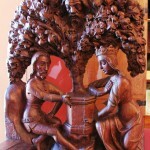 You will also see original and restored medieval furniture that are symbolic keys to Tallinn. 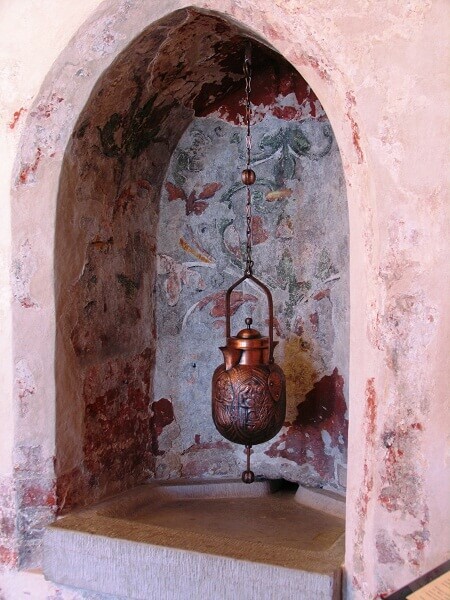 From the guide’s stories you will learn what was happening in this halls during the Middle Ages, where the treasury was, where the criminals were put to justice, and what was so special about Middle Age morals. 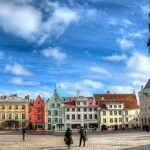 You will see how Tallinn looked in the 16th century and what were the principals of fashion in those days. 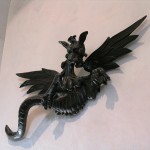 And of course, you will meet the master of the Town Hall – weathervane Old Toomas. 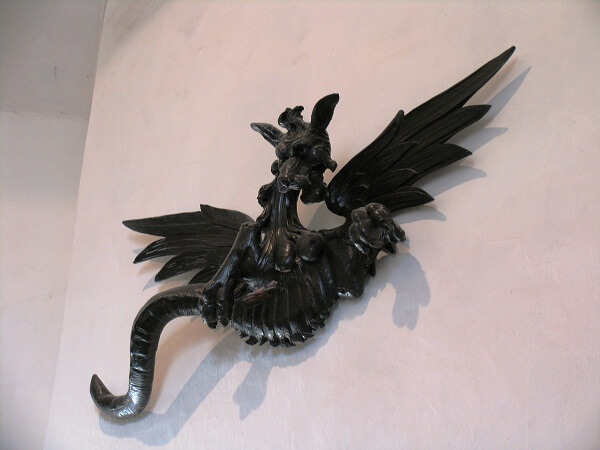 In the stories told by your guide the secret signs on the benches and warning writings on the walls will come alive and take you back in time to the mysterious Middle Ages.